I thought it was quite weird that Hollywood would choose to remake an old Mel Gibson comedy. What Women Want was kind of a forgettable 2000 hit. It had me thinking what or who is this for? The world feels so far away from that time to make a movie like this even if you flip it and remix it into something else. 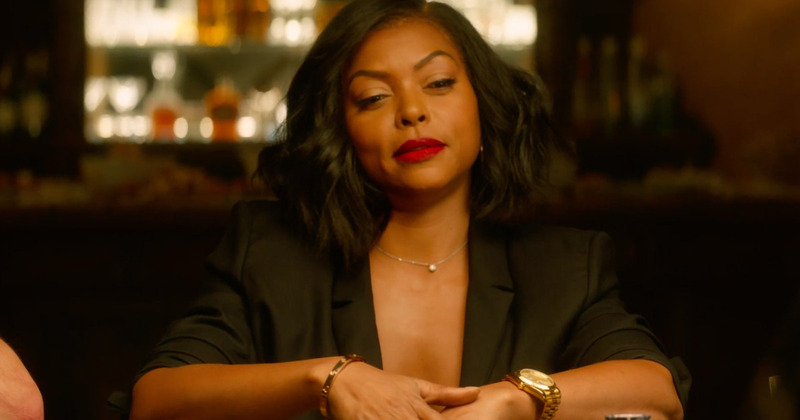 So we’re here in February 2019 and the remake is real, What Men Want starring Taraji P. Henson as a woman trying to overcome a male-dominated world vs the old set up of a male chauvinist learning how to not be trash to women. So in the story of What Men Want Henson plays Ali Davis, a successful sports agent who navigating a pretty hostile work environment for women. After being passed over for a huge promotion because she can’t connect to male clients, Ali is at a loss at what to do and full of frustration. After a run-in with an entertaining psychic named Sister (Erykah Badu), Ali gains the ability to hear men’s thoughts and chaos ensues as it goes. Let’s get right to it, this movie is pretty sloppy. It feels like it goes for a lot of easy jokes that don’t really land well. It goes more for slapstick and goofiness then a set up of smart or really interesting situations. Taraji is a good actress and can do drama as well as comedy and she’s good as Ali even though I never really get what her arc is supposed to be. I don’t totally get what she’s supposed to learn but in the end, it’s how to be a better friend I guess? A lot of the movie Ali spends time with her overworked assistant Brandon (Josh Brener) which she mostly berates a lot. The old movie’s main focus was making the main character treat women better but for this movie, Ali just mostly learns that men are a mess, but her need to learn to be a better friend is shoehorned into the last act. Her relationship with single father Will (Aldis Hodge) is cool and he's clearly eye candy for the women this movie is marketed to. He does well with the little he has to do in the movie. Tracey Morgan has some decent moments as Joe “Dolla” Berry, an unsubtle play on LaVar Ball so you’ll get some laughs. Sometimes this movie is one that has laughs that are just silly and some just because the movie is just so messy. For some reason the movie has two low points for our main character like they didn’t know what to do to get Ali to her point of actualization to better herself to, you know third act mumbo jumbo but when watching it just makes you feel why? How come they couldn’t come to a decision but maybe, in the end, I might not be the audience for this movie at all. I couldn’t let a lot of stuff go. If you really want to see a romantic comedy go check this out, but if you really want to see Taraji and enjoy yourself go in with low expectations.